Okay, show of hands please. How many of you are still running Exchange 2007? Hmm, one, two, three, four…eight thousand and seven-okay, and that’s just the right side of the auditorium. I don’t have time to count the rest of you, and you don’t have time to mess around, because by the time you are reading this, Exchange 2007 will have less than a year to go before it reaches end of life! That’s right boys and girls, in case you missed it, Exchange 2007, which came out in 2007 and has a ten year support lifecycle, will reach its tenth birthday in 2017, which is next year! And while the sandmen won’t come for your servers to ensure they go to Carousel, Microsoft will stop releasing security patches for 2007 when it crosses end of life, which means the Patch Tuesday on April 11, 2017 will be the last Patch Tuesday Exchange 2007 ever sees. April 11, 2017 is the day to put on your calendars, and it’s is never too soon to start planning your upgrade. Exchange 2007 was a quantum leap for Exchange. It introduced things like continuous cluster replication, PowerShell in the Exchange Management Shell, and the MMC based Exchange Management Console. It introduced us to Unified Messaging, 64bit architecture, and the, at the time, new Exchange Web Services. It also introduced many an Exchange admin to compliance features, including transport rules and retention management through Messaging Records Management. It also moved message routing internally away from a separate topology and to mirror Active Directory replication and moved Exchange management roles to Active Directory groups. 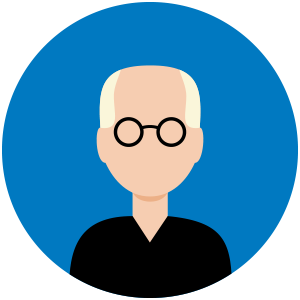 All in all, Exchange 2007 was an awesome leap forward from Exchange 2003, 2000, and even 5.5 and for many of today’s Exchange admins, it was their first (Microsoft email) love. But like the song says, it’s time to let it go, let it go, turn your back and upgrade or migrate! Seriously, the clock is ticking on this one. Just as we saw with the end of life for Exchange 2003, exploits kept coming and with Microsoft no longer provided security updates for it, 2003 users were at significant risk. It takes time to plan a migration, whether to a more recent Exchange on-prem platform, or to something else, be that Office 365 or Google Apps for Work. Whichever way you are going to go, you need to start working on that now so you’re not scrambling next year. Upgrading from Exchange 2007 to now what? The good news is that you do have some alternatives and we’ll be looking at what your options are for upgrading your Exchange environment or migrating elsewhere, because with somewhat less than a year to go, you really don’t have a lot of time to try to make up your mind. A little less conversation, a little more action baby is the order of the day, because you’re running out of time! You may find it rather difficult to acquire licenses for Exchange 2010. If you’re large enough to buy direct from Microsoft you can probably negotiate something with software assurance, but if you are buying from a reseller you may not find that your regular supplier has no licenses left. If you plan to go Exchange 2016 or to Office 365 (more on both below) you will have to build some Exchange 2010 servers anyway. These may not have to be licensed though, as Exchange will run for 120 days on an evaluation license, and if you are migrating to Office 365 you can get a no-cost license for your hybrid server(s) which is what Exchange 2010 would be doing in your environment. For Office 365, 2013 may be the better choice though. To get to 2016, the 2010 is just a temporary measure. Exchange 2010 is already in extended support. It seems wasteful to migrate off an end of life platform onto an extended support platform, and it cannot be said enough that you will just be doing this whole exercise again in 2019 (if not before) since 2010 will be end of life in early 2020. Pros: fast, cheap, limited learning curve, supports a lot more legacy protocols, which you may need. Cons: temporary at best, licensing may be a problem, short-term solution only. Guidance: This may seem like the best choice for you, but only if you thinking right now and not next year. Consider this carefully, and use the Exchange Deployment Assistant to guide you through the steps at http://aka.ms/exda. Exchange 2013 is the Exchange platform right now, as it has been in mainstream for a few years, has had several updates, and is proving its worth and reliability. It is compatible with Exchange 2007 so you could do an upgrade of your Exchange organization from Exchange 2007 to Exchange 2013 without any intermediate steps or other silliness. And with about two years of mainstream support plus another five of extended support remaining with Exchange 2013, it’s got some legs to it. However, it is still an N-1 product, and while Exchange 2016 is a relative newcomer, it’s got a significant track record with Office 365 and the CTPs that ran last year, so it’s hard to rationalize choosing 2013 over 2016 just because 2016 is “too new.” The biggest benefit to going from 2007 to 2013 though is that it can be done, in one phase. That trumps going to 2016 for most. Yassss! Upgrade your organization to the latest and greatest Exchange platform. Finally, you can hold your head up proudly and talk about how you administer an N organization, and not an N-*. The only problem is, there’s no way to upgrade from 2007 to 2016; at least, not directly. Since Exchange 2016 is N, and Exchange 2007 is N-3, you’re out of luck if you want to just upgrade your Exchange org directly to the latest version. 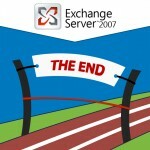 If Exchange 2016 is your end state goal, you are looking at a two phase, double-hop migration, involving first upgrading your organization to either 2010 or 2013, moving all your users off 2007, and then decommissioning all your 2007 servers before you can then start all over again to upgrade your 2010/2013 org to 2016. That, my friends, is a lot of work. But if your intent is to stay with on-prem Exchange and you have the approvals and funding to finally get current, it’s worth the effort. It’s also guaranteed to keep you busy for the rest of the year, so it is a good excuse for not coming up to speed on SQL! Pros: You will finally get current, you can also use this as an opportunity to right-size your Exchange organization and stop supporting legacy. Cons: No way around it-this is two Exchange upgrades, not one. You may also have to spend a lot more time doing on-prem discovery of apps and clients, as not only does 2016 not support older legacy protocols, Outlook 2007 cannot connect to it at all. Guidance: Think really hard about this before you do it. That’s a ton of work. You may be better of looking at the next option below, or sticking with the one above. If you do want to do this, see if you can do it really fast by doing a flash upgrade to Exchange 2010, then to 2016. Hardware and licensing costs both may be a bit lower, but so will the amount of time you have to do this. It’s time for a little tough love here. It’s 2016 and you are still on Exchange 2007. Maybe maintaining your Exchange org on-premises is just not something that really does it for you, or it’s not a priority for your management. Maybe you hate doing database maintenance and backups, or maybe your boss just thinks that he is going to squeeze every last cent out of any server he buys. Either way, perhaps it’s time to move off of on-prem Exchange and up to the cloud with Office 365. I know what you’re thinking. This will cost me my job! Well, I have been working with customers moving to Office 365 for the past five years, and have moved two companies I worked for to it myself. I have never seen it reduce workforce anywhere. I have seen admins who get their weekends back, don’t have to stay up all night patching, and don’t get 2AM phone calls when the servers crash. How can I trust those guys! Office 365 meets several compliance standards around the world, including ISO 27018. Seriously, take some time to review http://trustoffice365.com before you think that you cannot trust Microsoft. The cloud is just a fad! You’re right, and the internet is probably only good for another two years or so as well. You might want to go ahead and start relearning COBOL because just like Disco and bell bottoms, it’s time is coming back! I don’t have time to do all that! Actually, the Microsoft Fast Track Center will do most of the work for you, for free, and guide you through the rest, for free. Check out http://fasttrack.microsoft.com/ for more. 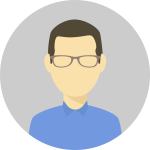 Pros: Get off the legacy support train and on to latest version, best of breed, and with features and capabilities you couldn’t offer your users at any cost. Guidance: The cloud isn’t for everyone, but the fact that you’re still stuck on 2007 implies that on-prem Exchange isn’t really for you or your org either. That’s not a bad thing. Look at http://fasttrack.microsoft.com/ and at least take some time to consider Office 365 before you decide what to do. You can even set up a free 30-day trial just to test it out while you decide what you want to do. Whatever you do, DO IT! Seriously, no matter which way you want to go, you need to make a decision and get started and you need to do that really soon. April 12, 2017 is not that far away. Upgrades can take a year or more to do during normal circumstances, and you simply don’t have that much time anymore. Make sure you engage your management early and present to them the pros and the cons. One thing you don’t want to do however is understate either the importance of doing this or the timeliness required, nor let them think that this will be quick and painless. There will be interruptions and end-user impact, and others in the org will have to chip in and do some things too. In the end, it will all be okay, as long as you choose one of the options and get to it. The only thing that will be really bad is if you sit there and do nothing. Nice article! Love the Logan’s Run reference! Nice article. Many of us feel “stranded” on Exchange 2007, not because we don’t want to upgrade, but because there is no obvious pathway for Small Business Server 2008 Administrators (especially if you have more than 25 users). The only realistic option is to move Email to Office365 and then shutdown the Exchange 2007 services. We will be continuing to use SBS 2008 as our DC for the foreseeable future. I wouldn’t say that migrating to Office 365 is the only realistic option, but maybe the most convenient one. But if because of any reason you don’t want to move to the cloud, I’m afraid that the only option for you is to upgrade at some point. Not only that the SBS 2008 is now not supported by Microsoft, which can cause a lot of headache for you in the future, but you and your colleagues are also stuck on a 10-year old technology. If you compare IT with the automotive industry, it would be like assigning a 30-year old car, without AC and radio, to your employees. It can get them from A to B, but they won’t be happy.